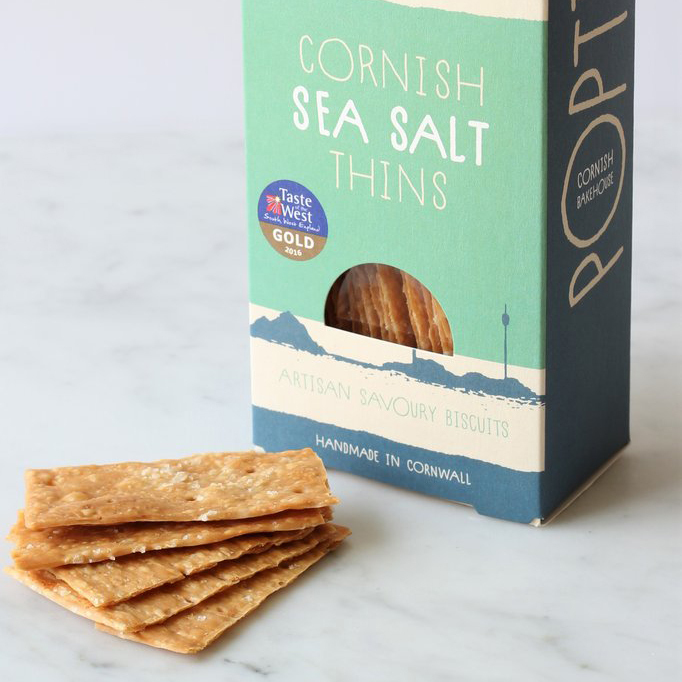 Award-winning crispy savoury biscuits enriched with butter and perfectly seasoned with crunchy Cornish sea salt. These Sea Salt Savoury Thins are fantastic with buttery soft cheeses and cured meats, pâtés or rillettes. Or they're perfectly moreish on their own too! Winner of a Gold award from the Taste of the West. The biscuits are all natural with no artificial flavourings, colourings or preservatives, but are made with a secret recipe resulting in crisp biscuits which last! 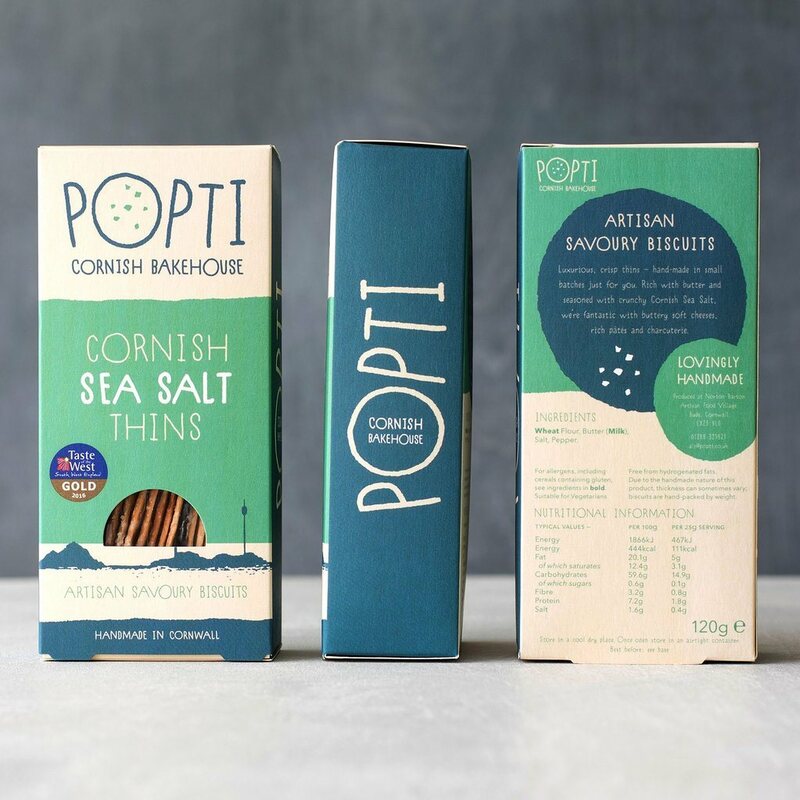 Popti Cornish Bakehouse make their fine savoury biscuits in small batches using quality ingredients, the likes of which you would find in your home kitchen such as rich butter, wheat flour and various seasonings. They handcraft their thins in Cornwall and are very proud of their roots, so use as many local Cornish ingredients as possible. Pack of 5 x 120g boxes of savoury thins. Storage: 12 month shelf life. Store in a cool, dry place. Once opened store in an airtight container. Suitable for vegetarians. Free from hydrogenated fats. Thickness of biscuits can sometimes vary as they are an artisan product; biscuits are hand-packed by weight.